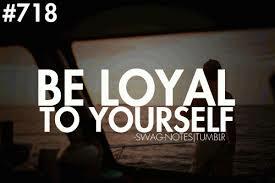 Loyalty represents the quality of being loyal to someone or something, having a strong feeling of support or allegiance. When does loyalty get in the way of allowing us to revise our life, to bring about a healthier and happy way for us to live? Being a loyal person represents a certain amount of obedience, faithfulness and having devotion for certain things or persons. That all sounds really good on paper, but how does all of that effect our everyday life, and more importantly how does it effect our Spirit and the true nature of who we are? Comic Books were a novelty when we were growing up. Stories of imaginary people that entertained us, a funny magazine with lots of drama and excitement to feed our imagination. Each week a new book came out, starting from the place where the book from last week ended. We couldn’t wait to get our allowance so we could rush out to buy the sequence to follow the story. There might have been one particular character that was your favourite, and if that guy or girl got their heart broken from a breakup in the story line, then we were heart broken too. We become connected to places, persons and things in a number of ways. But just like everything else, if we are shifting and growing our way through life, there comes a time when things need to change. What about loyalty then? How do we begin to move away from being loyal to someone that hasn’t grown with us? A relationship with anyone is based on an affinity of similarity of characteristics. We love the people that we do because we can relate to one other, we form a kinship according to what we like and don’t like. If the harmony in that kinship begins to dissolve, then how do we settle with the programming of our Ego in regards to our loyalty for that particular person? “Don’t allow your loyalty to become slavery, if they aren’t appreciating what you bring to the table, leave them alone”.